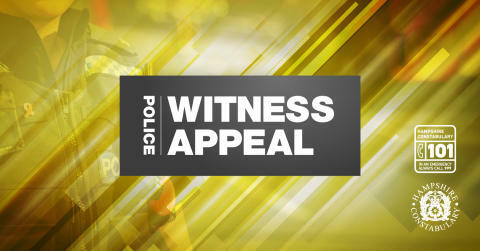 Detectives in Southampton are investigating an incident whereby a 17-year-old boy was shot in the legs and ankles around 10.15pm last night (Feb 19) outside a home on Bluebell Road. The victim is currently in hospital receiving treatment for non-life threatening gun shot wounds. Detectives are at the scene of the incident today (Feb 18) and a part of Bluebell Road is cordoned off to allow for forensic enquiries. Detective Inspector Adam Edwards said: “While we are still in the early stages of this investigation, we would like to reassure the local community that we believe this was an isolated incident with no wider risk to the community. “At this point, it’s really important for us to ascertain the exact circumstances of what happened and we will be in the local area today asking for residents to assist with us with those enquiries. “We also have a number of officers carrying out extra patrols to provide reassurance in the local community. If you have any concerns, or if you have any information, please speak to one of the officers, or your local neighbourhood policing team. Alternatively call Crimestoppers and leave information anonymously on 0800 555 111. If you have any information, please contact us on 101, quoting reference number 44190059982.